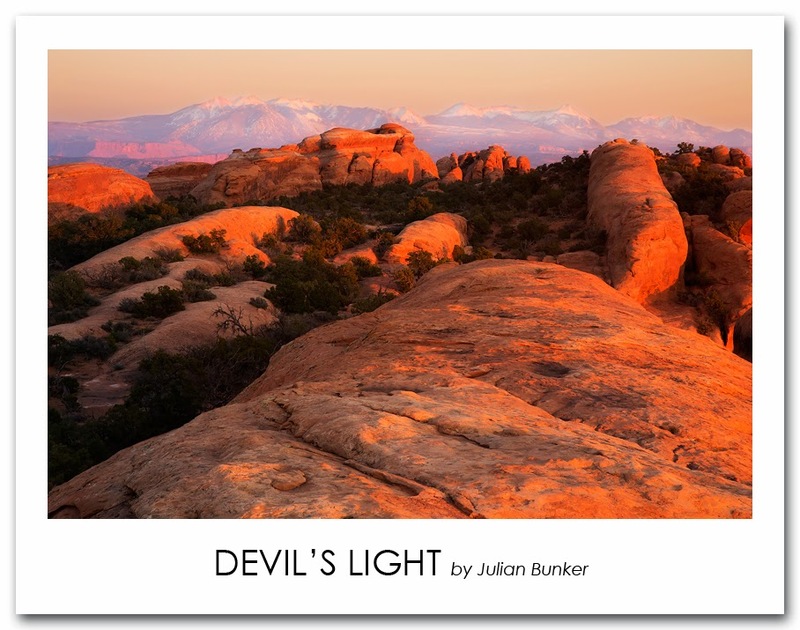 This is Devil's Garden in Arches National Park. Just moments before sunset, the warm lighting dramatically covered the entire landscape before us. The light quality was like this for literally less then one minute before it lost its intensity and the sun fell below the horizon. The rocks in the foreground were so close and the mountains were so far away that I decided to implement a focus stacking technique where several photographs are taken at overlapping slices of focus and later combined. This way only the sharpest areas of each photograph are used. I took five photographs in total, all at F/8. Canon 6D, Canon 24-105L (@75mm), ISO 100, F/8, 1/15th of a Second.